Elegantly engraved with your own photo. Personalised to the fullest - add a text too! A case made out of fine, high quality bamboo. One of a kind case! The engraved wooden cases from GoCustomized are truly a unique set items. 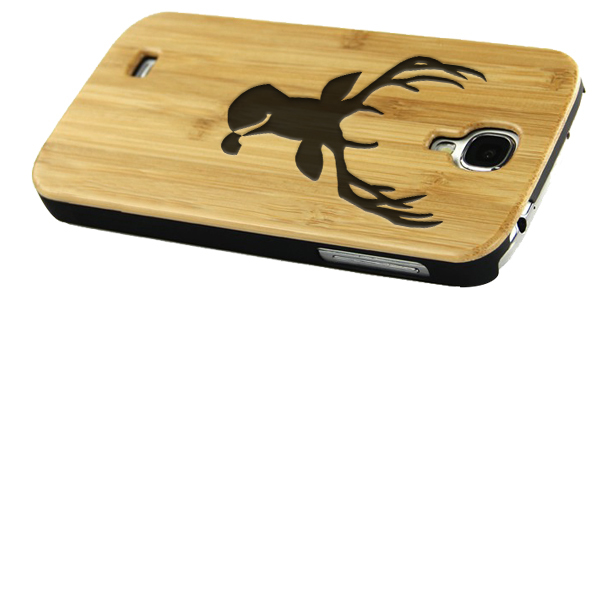 The case is made of a high quality, durable bamboo material on the outside. The inner layer is a shock absorbing rubber which ensures your device is well protected. Your design is engraved straight into the wood. This creates a unique 3D printed effect. 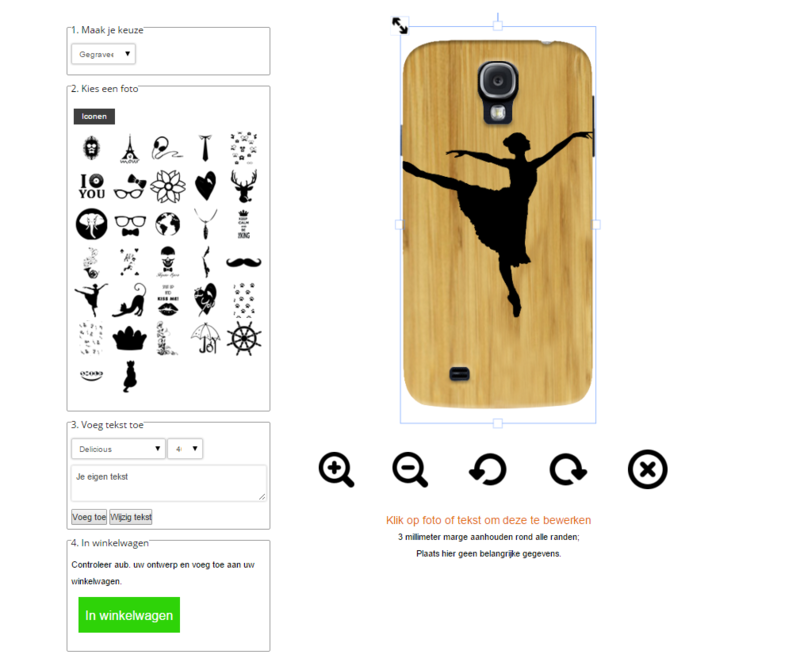 You can customise your case with a wide selection of icons in addition to adding your own personal text. This case not only looks great, it also offers your device a high level of protection. You can be sure that when you do accidentally drop your phone, it is in good hands. Get started making this great phone case now. 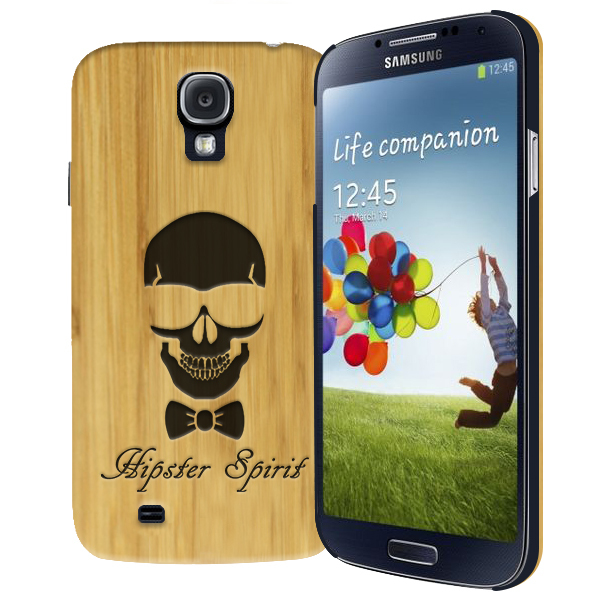 Maybe this isnt the case for you, check out our other customised Samsung Galaxy S4 cases! 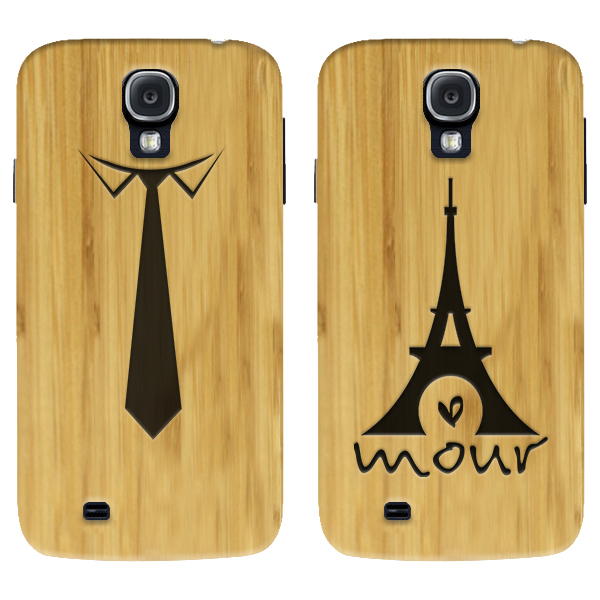 Creating your own iPhone 4 & 4S engraved bamboo case!